Although the benefits are numerous, the most important one is that membership means your business model has been thoroughly evaluated and deemed worthy of accreditation. I’m the CEO of the AFA, which was established to provide an alternative and more affordable support framework to the franchise industry. 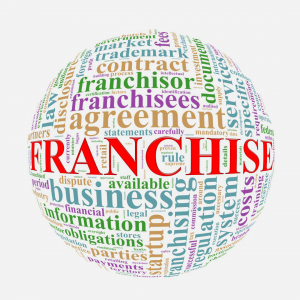 We work with all sizes of franchise organisations and are happy to consider any franchisor for membership. In order to become an AFA member, and gain our Seal of Approval, we thoroughly inspect your business, review your prospectus and business model and interview your existing franchisees to check they’re happy with the level of support you provide. Although we don’t offer formal guarantees, our Seal of Approval provides reassurance for your prospective franchisees that your business has been thoroughly scrutinised by an official organisation that has a thorough understanding of the franchise industry. The Seal of Approval may also help your franchisees to obtain finance to buy their franchise initially, as banks may look favourably on the fact that your business has received an official accreditation. This benefit continues throughout the life of the franchise, even up to the point where they may want to resell their business. Our Seal of Approval means that potential buyers will have more confidence and this could result in a quicker and more lucrative sale. We’re passionate about the franchise industry and are committed to supporting its continuous growth. That’s why, in addition to our full membership, we also offer a ‘preliminary’ membership for franchisors who are just starting out. When you become a preliminary member, we will carry out the same checks on your business model and gain feedback from any existing franchisees you may already have. The AFA is available to mentor and support you, as needed, during your first year of trading. After one year, you’ll be eligible for full membership, as long as you have a proven and sustainable business model. Upon becoming a member, your business will be listed on the AFA website with company information, contact details and a link to your website. This helps to raise your profile and drive new enquiries. In addition to this, we post all of our members’ news items on our website. All franchisor members benefit from complimentary advertising on the Franchise UK website, which would usually cost £1,200 per annum or £100 per month, representing a huge saving! We have an active, social media presence on Facebook and Twitter, as well as a weekly blog post, which promotes our members’ and partners’ businesses and special offers. Our social media channels also carry industry news, valuable tips and advice for potential franchisees and we encourage our members to submit guest blog posts to help them market their services to a wider audience than they could reach alone. We offer a partner membership scheme to companies and individuals with a proven track record of working with the franchise industry. We can, therefore, put you in touch with businesses that have a more thorough understanding of your organisation and can provide the goods and services you need. We’re always on the end of the phone to provide support and advice to you and your potential franchisees. We have some really exciting plans for the future, which include regional meetings to bring our members together, and regular email marketing to promote members to potential franchisees and partners special offers to our members. Annual membership of the AFA starts from only £585 or £50 per month. Click here to find out more or call us on 01604 532 533 to find out more.